The Fishy Smell – bar down by the docks. There’s a mermaid on the sign (giggity). Ms. Mary’s Mistake – owned and operated by Ms. Mary’s son….yep. The Shadow of the Castle – is in the shadow of the castle in town. The Hungry Bear Lodge. Run by a werebear. 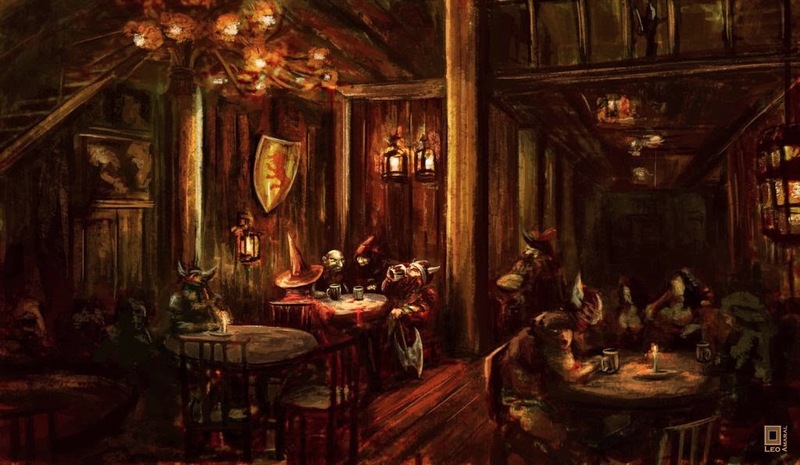 New Beginnings – A tavern run by a group of retired adventurers who decided to start a new life.